Don’t assume that all past due invoices require a debt collection lawyer. If your customer is delinquent with past due accounts, it might be due to a temporary cash flow problem, or maybe the customer just needs a reminder. Going “legal” on your customer may be expensive, and all but assures that you’ll never do business again. Consider a “soft approach” at the beginning, if you believe the customer intends to pay you. A friendly reminder in your own name will bring the issue to the customer’s attention, and hopefully result in a continued relationship. Be mindful of tone. Remember, this is your first time raising the issue, so don’t be adversarial. Your objectives are to bring the issue to your customer’s attention, and to request payment in a way that preserves the relationship. Make sure it’s in writing. It can be an email or on letterhead, but keep copies of this and all other correspondence. Start off by saying this is a friendly reminder to let your customer know about the unpaid balance. Indicate what the balance is and when it was due. Also include a balance statement or copies of the past due invoices. Avoid a long narrative or too much detail. Assume the issue is straightforward and there’s no challenge to the unpaid invoices. If that’s not the case, assume the customer will tell you. Finally, mention that you value the customer’s business, and invite the customer to call with any concerns or questions. 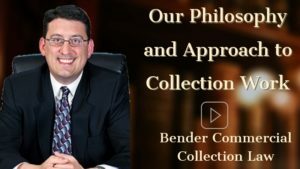 If the soft approach doesn’t work, before you incur expensive legal fees, we offer a low-cost attorney demand letter for B2B debt collections (because we’re a New Jersey collection law firm, we only offer this service if you or your customer are in New Jersey). For a minimal flat fee, we will review your past due invoices and send your customer a 10-day collection demand letter. 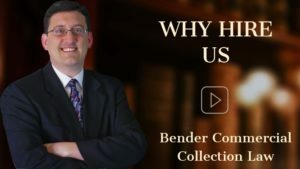 If your customer pays after receiving the attorney collection letter, you won’t need to pay additional legal fees to a New Jersey collection attorney. If your customer does not pay and you retain us on the same matter, we will credit the initial cost of the letter if you hire us on a contingency basis and we successfully recover the debt.